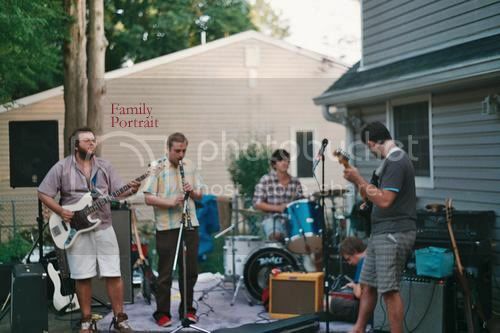 There’s not much I can say in particular about the band Family Portrait. But more than a year ago, (I’m-so-hip-it-hurts only to be posting these songs now) the guys over at GvsB called one of their songs, a totally psychedelic blissed-out beach jam, which sounds just about right. But also just about wrong, what with summer and beach season almost coming to an end (ignore the date of this post, I am writing this on the 15th of August, just to clarify), and the fact that the band claims not to be a psychedelic band. Confused much? Well I’ve got the songs, so you be the judge! I absolutely adore these two songs and the lack of information I could gather about them only begs for even more investigating. I only managed to dig out a few other tunes by the band, mostly here and there, all beautiful, and hazy, and tremendous, and does not let down, but here’s hoping that the band has a full-length release in the works to be unleashed pretty soon.